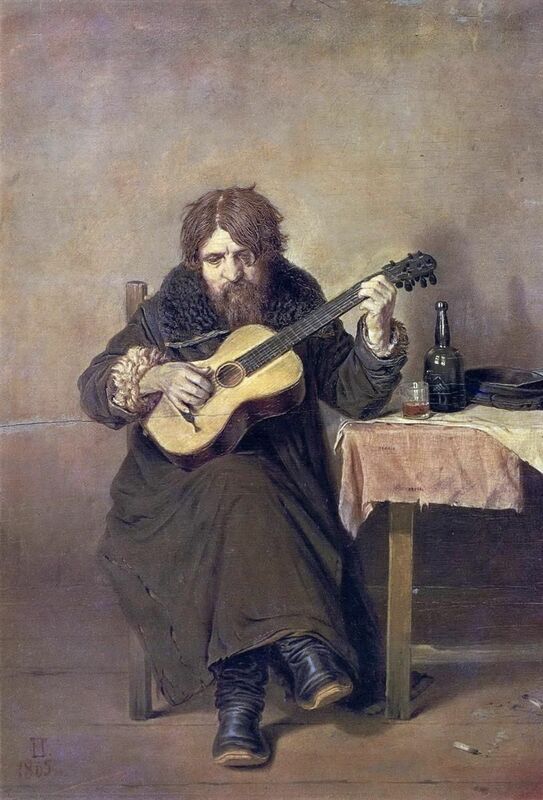 Vasily Grigorevich Perov / Васи́лий Григо́рьевич Перо́в (2 January 1834 - 10 June 1882) was a Russian painter🎨, a key figure of the Russian Realist movement and one of the founding members of Peredvizhniki. 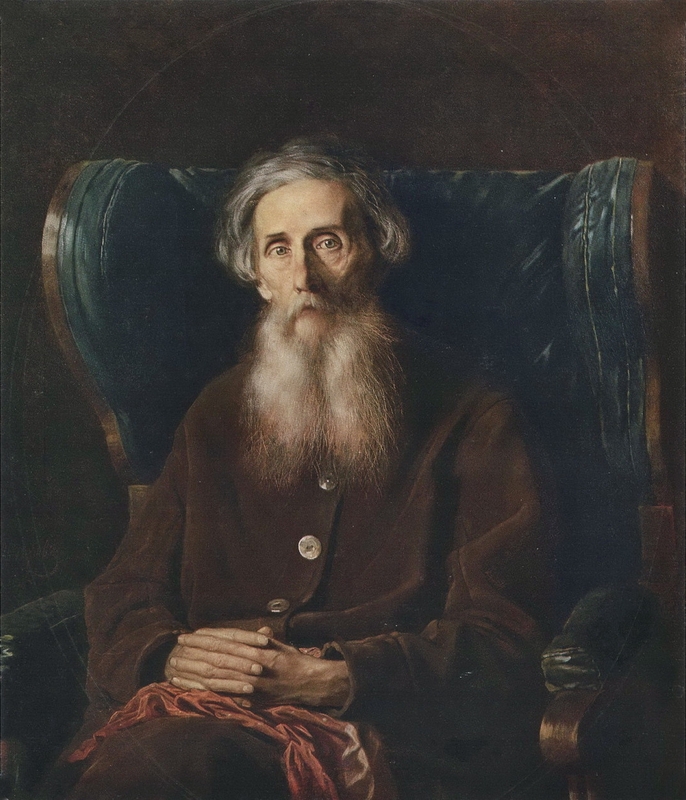 Vasily Perov was born in Tobolsk, Tobolsk Governorate, Russian Empire, as Vasily Grigorevich Vasiliev (Васи́лий Григо́рьевич Васильев). 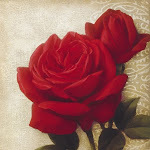 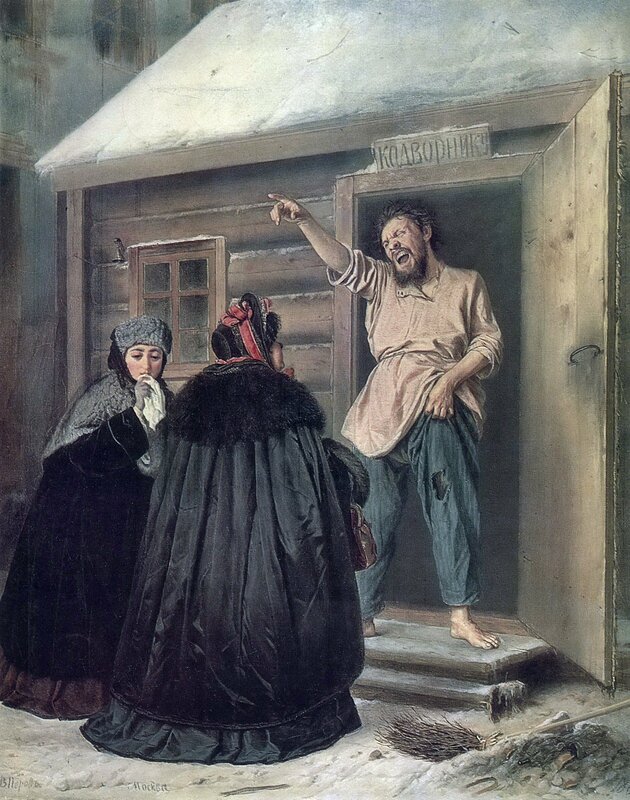 Perov was an illegitimate son of the local procurator baron, Grigory Karlovich Kridener, who belonged to an old Russian-German noble family tree, and Akulina Ivanova, a native citizen of Tobolsk. 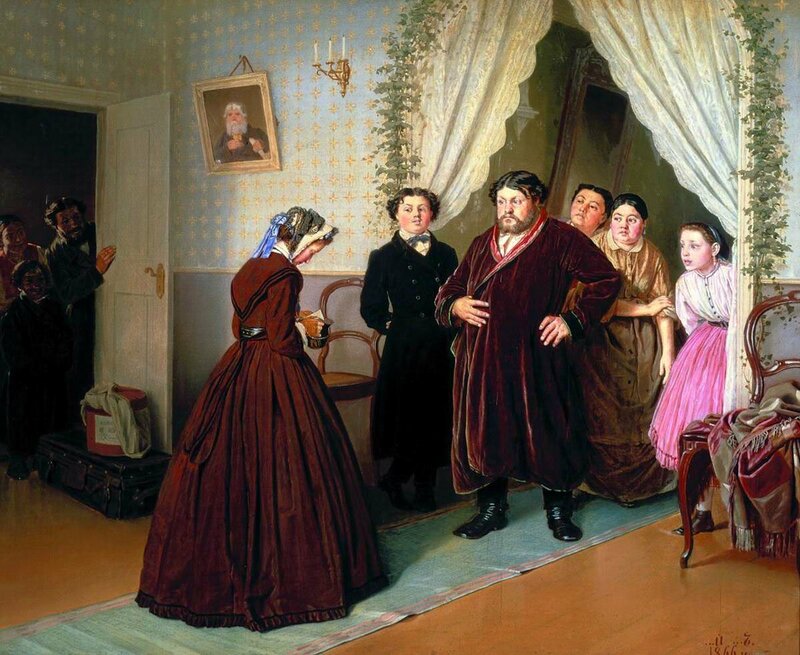 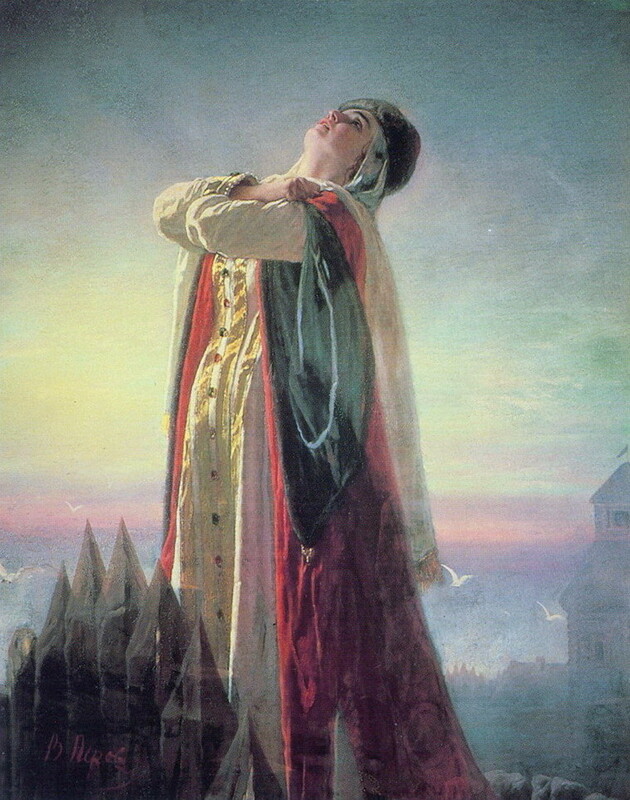 Although Perov's parents married soon after his birth, there was no legal way to inherit his father's name and baron title, so he was registered under his godfather's surname - Vasiliev. 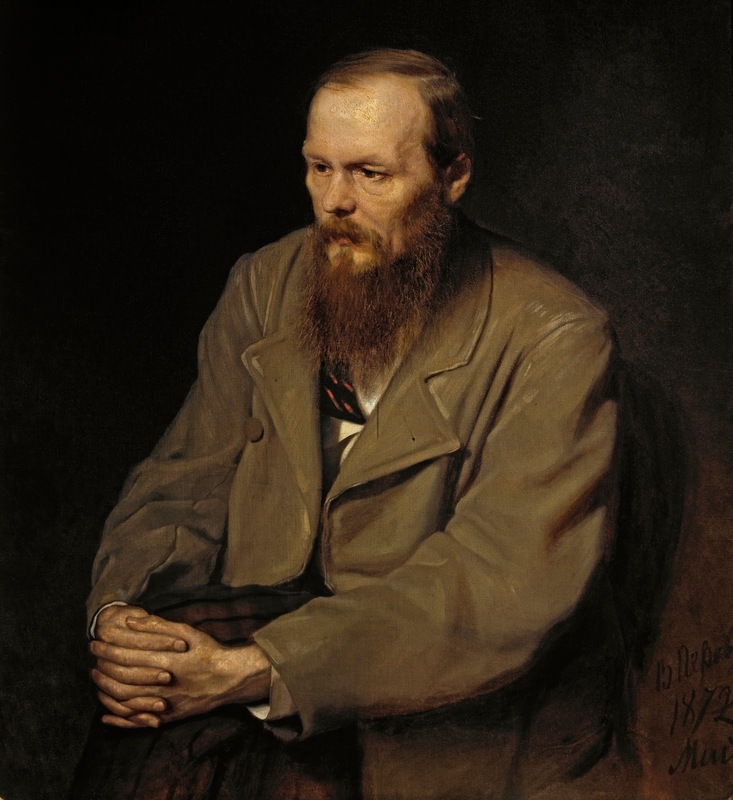 He later changed his surname to Perov - a nickname given to him by his teacher who taught him calligraphy as a child (the word pero means feather in Russian). 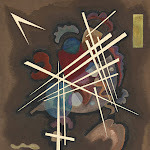 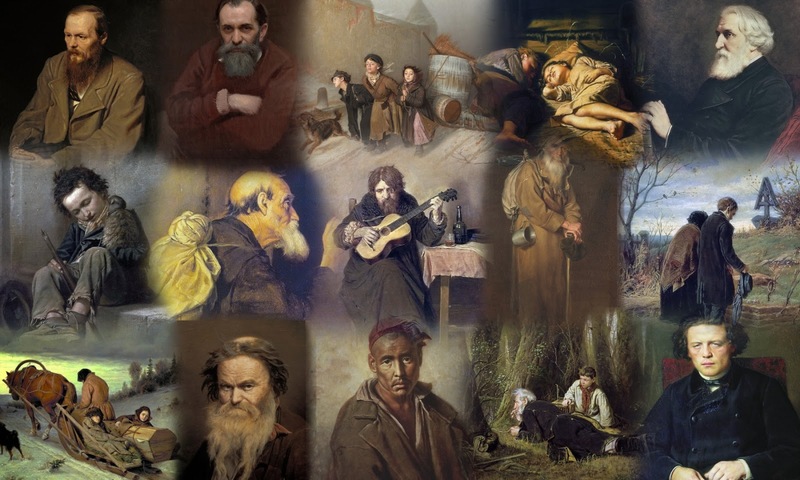 After completing a course at Arzamas uyezd school, Perov was transferred to the Alexander Stupin art school also located in Arzamas. 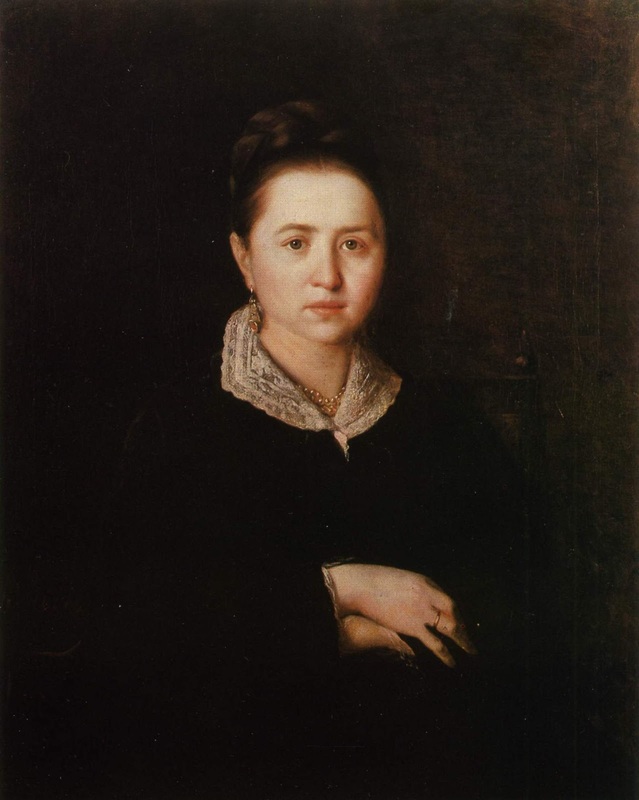 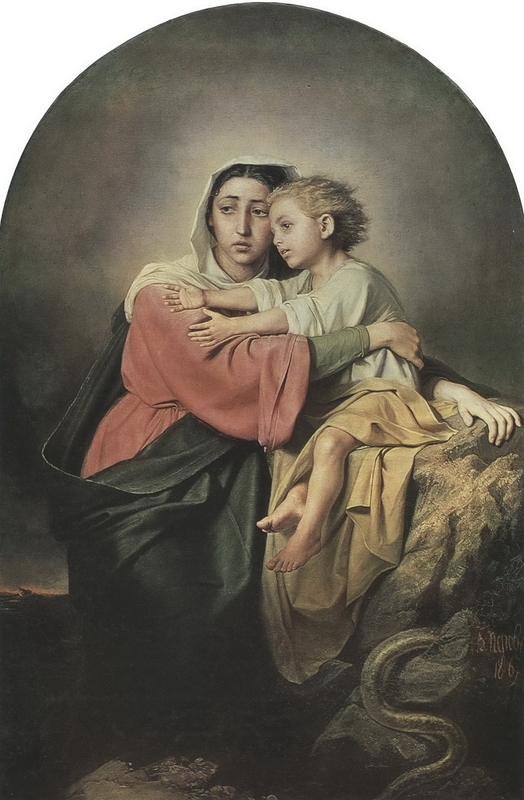 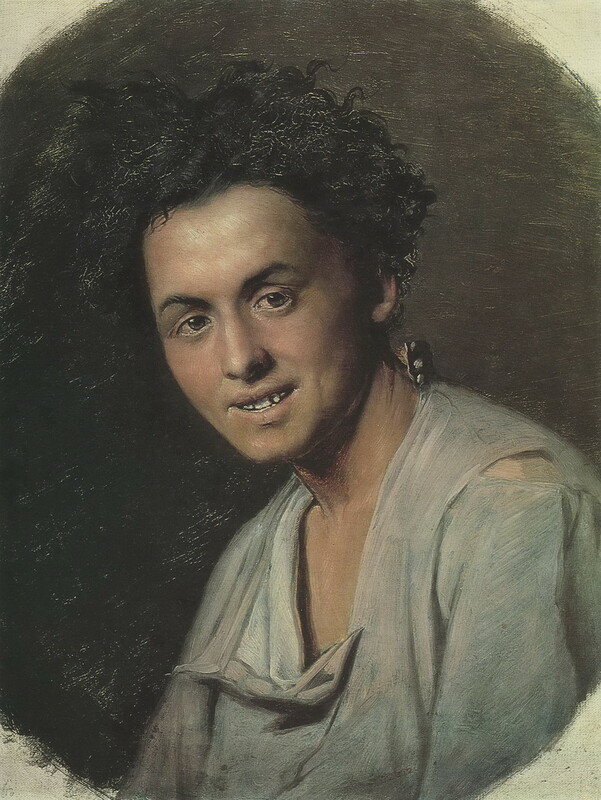 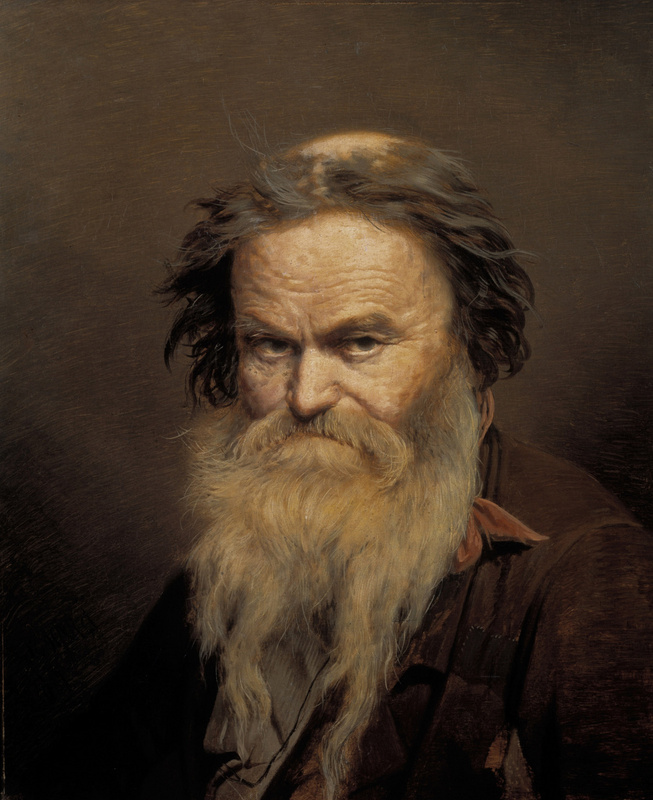 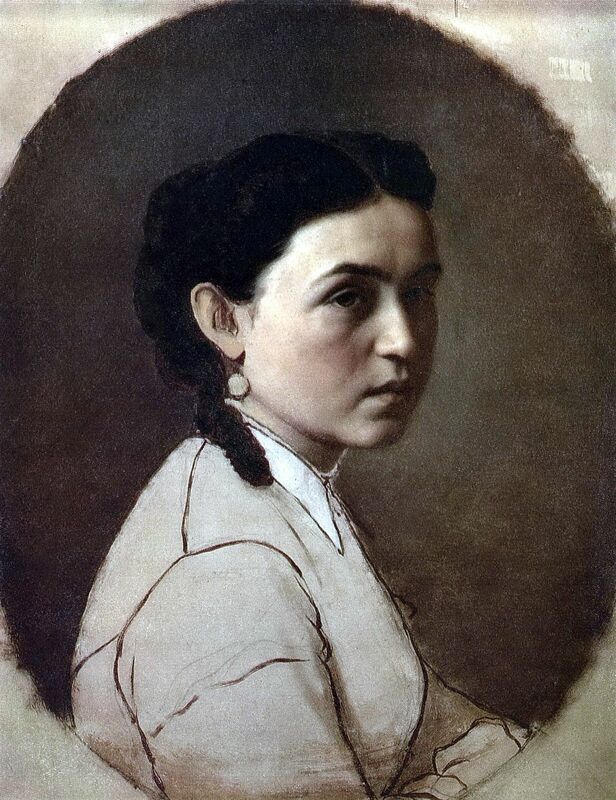 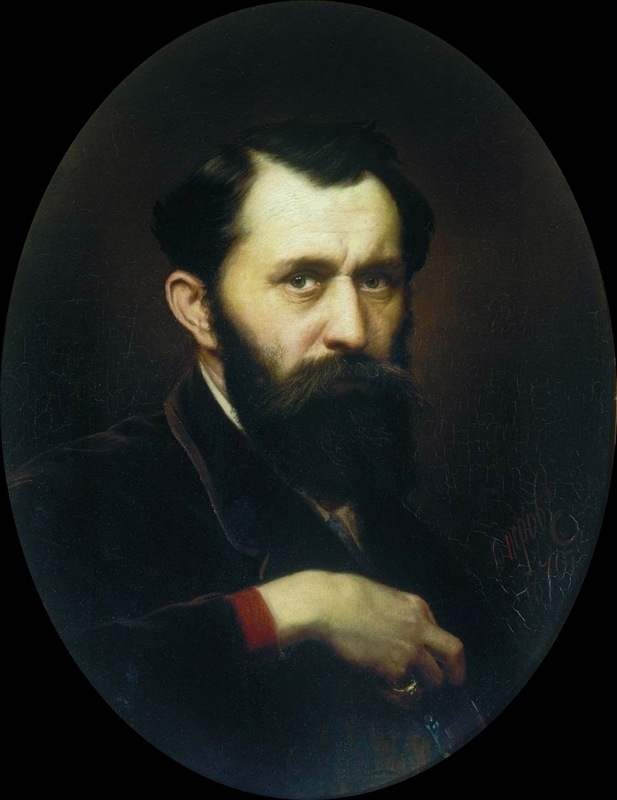 In 1853, Perov was admitted to the Moscow School of Painting, Sculpture and Architecture in Moscow, where he learned from several renowned artists. 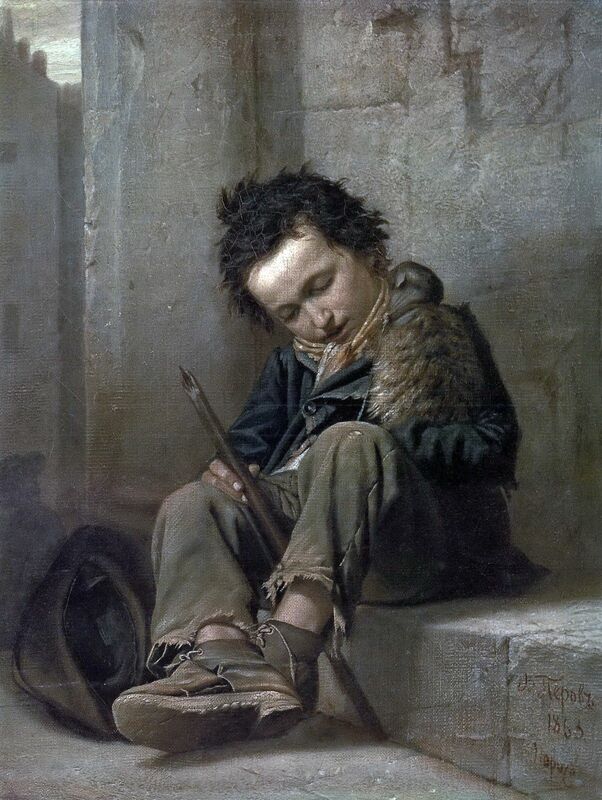 In 1856, Perov was awarded🎨 with a minor silver medal for his sketch of a boy's head, presented to the Imperial Academy of Arts. 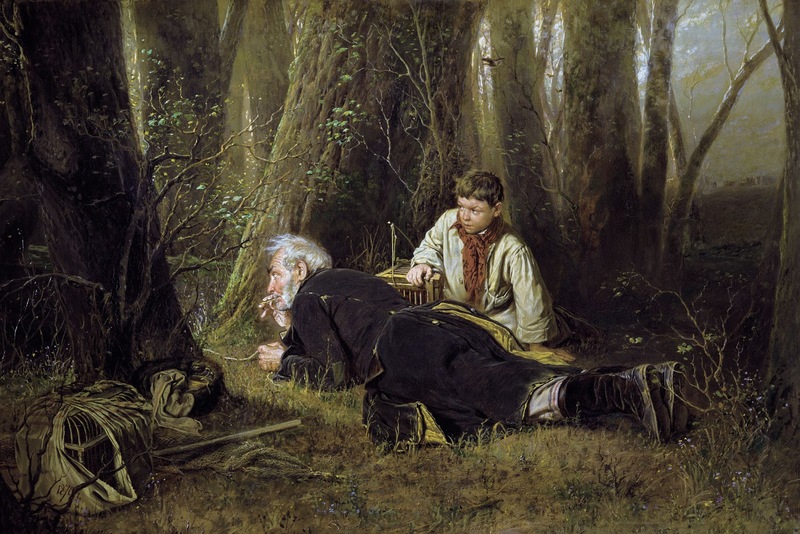 Later the Academy gave him many other awards🎨:in 1857 a major silver medal for Commissary of Rural Police Investigating, a minor golden medal for the Scene on a Grave and the Son of a Dyak Promoted to First Rank, and in 1861 a major golden medal for Sermon in a Village. 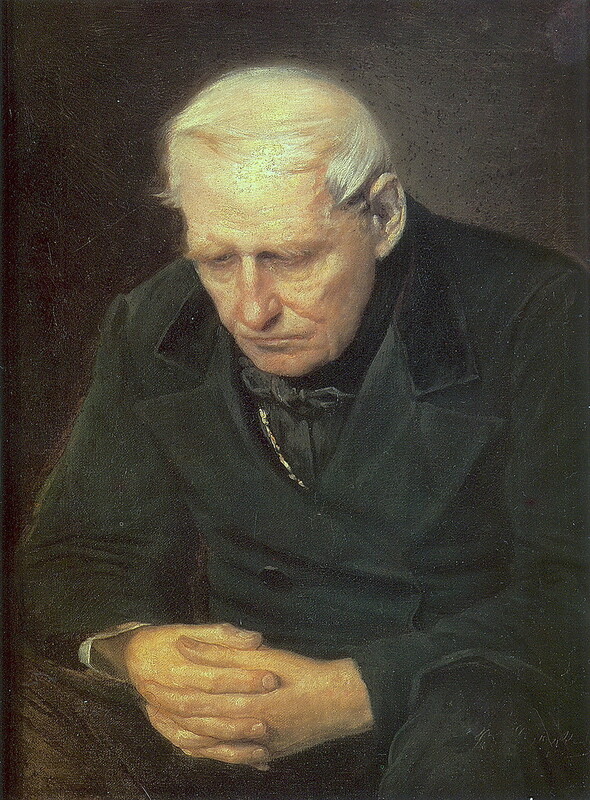 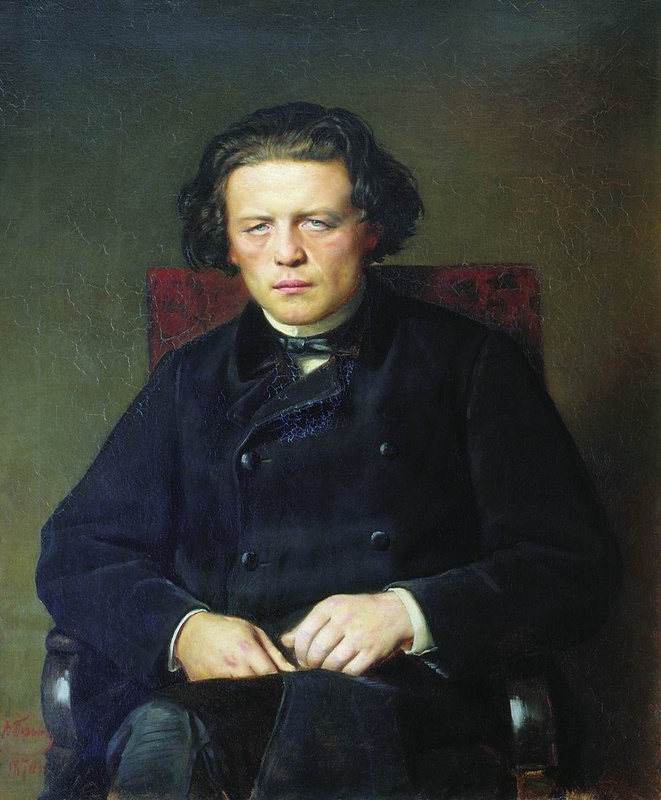 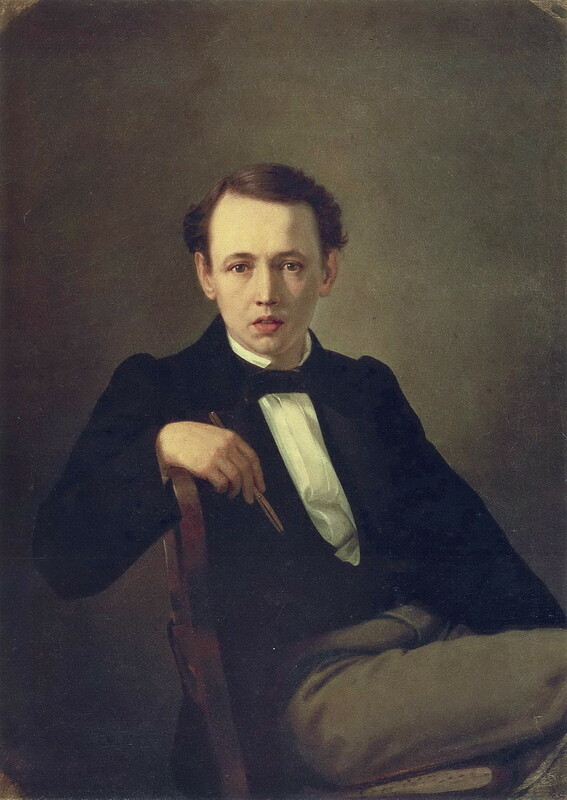 In 1862, after receiving the right to a state-paid trip abroad together with a golden medal, Perov travelled to Western Europe, visiting several German cities, and then Paris. 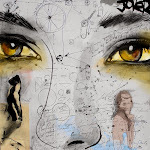 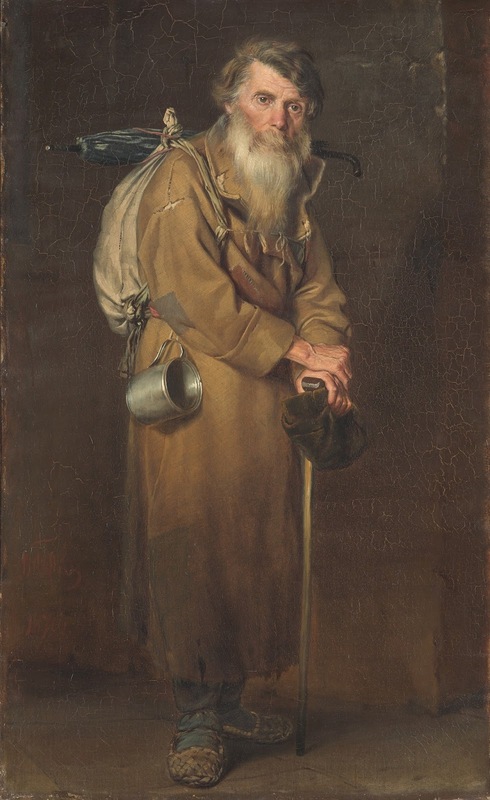 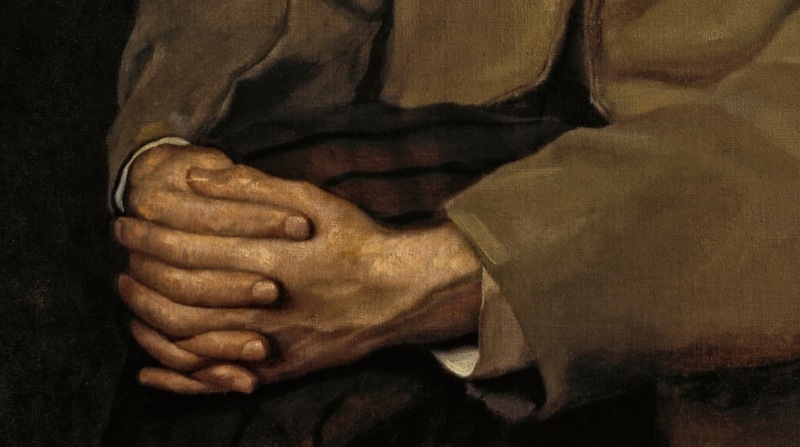 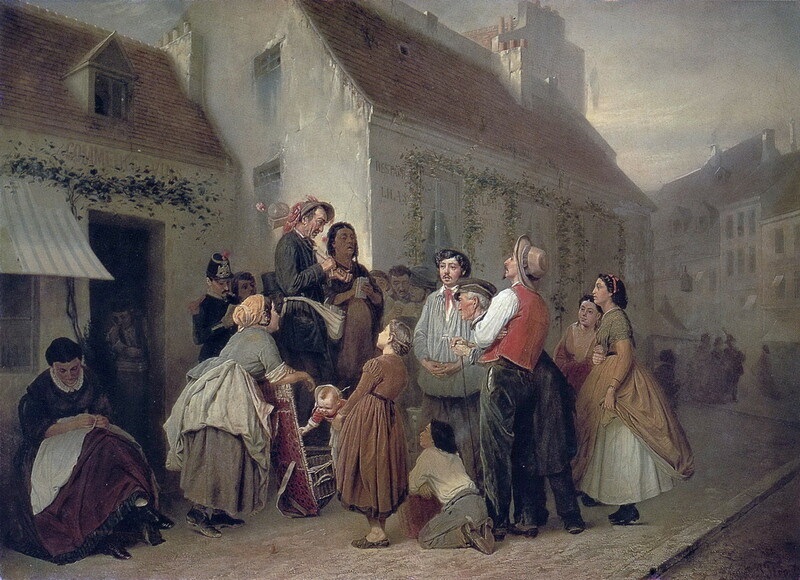 During this time he created paintings depicting scenes from European streetlife, such as the Vendor of statuettes, the Savoyard, the Organ-Grinder in Paris, the Musicians and the Bystanders, and the Paris Ragpickers. 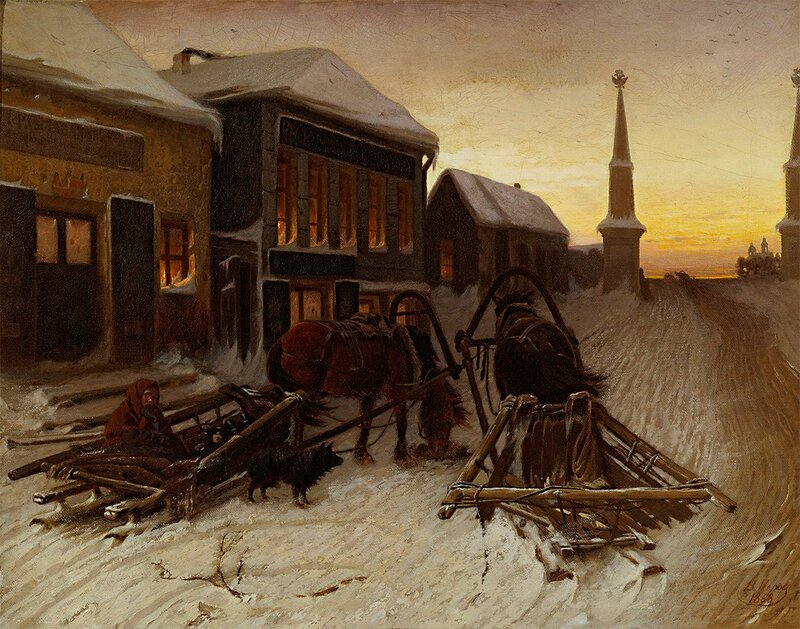 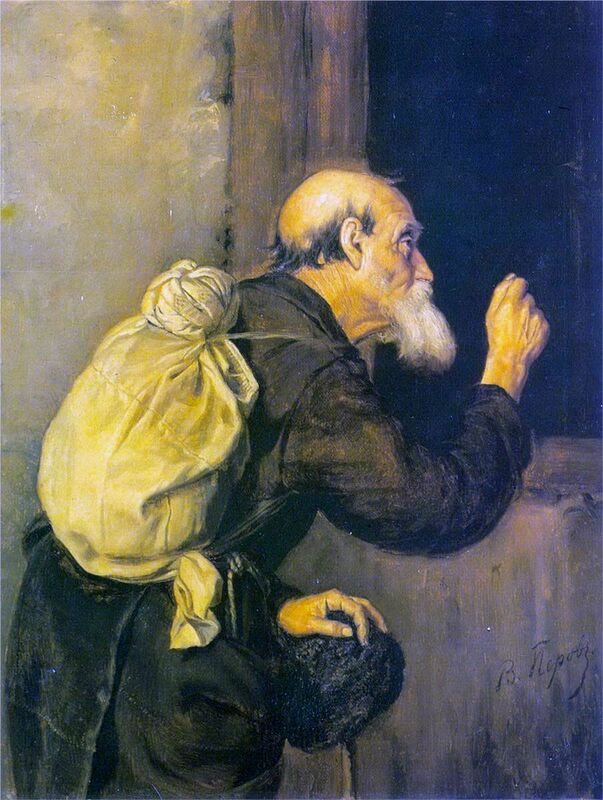 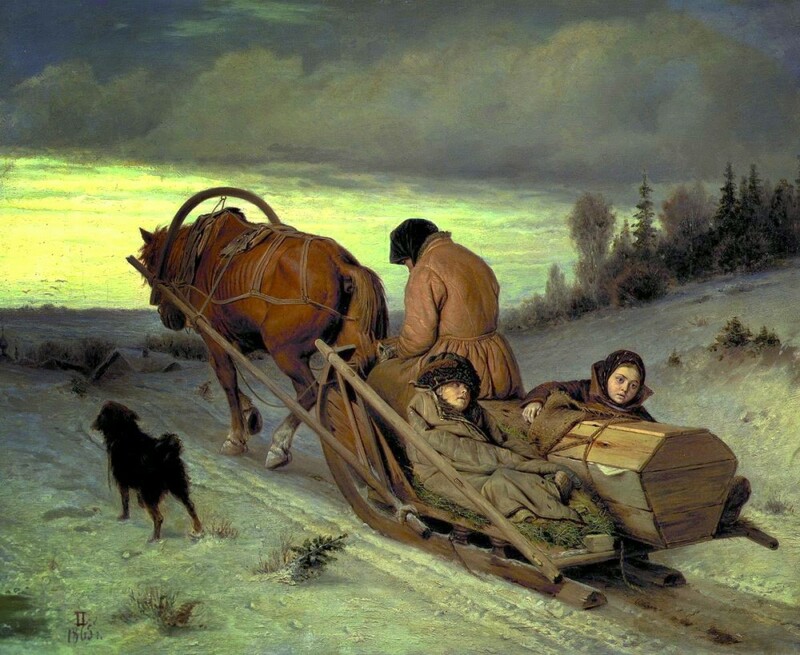 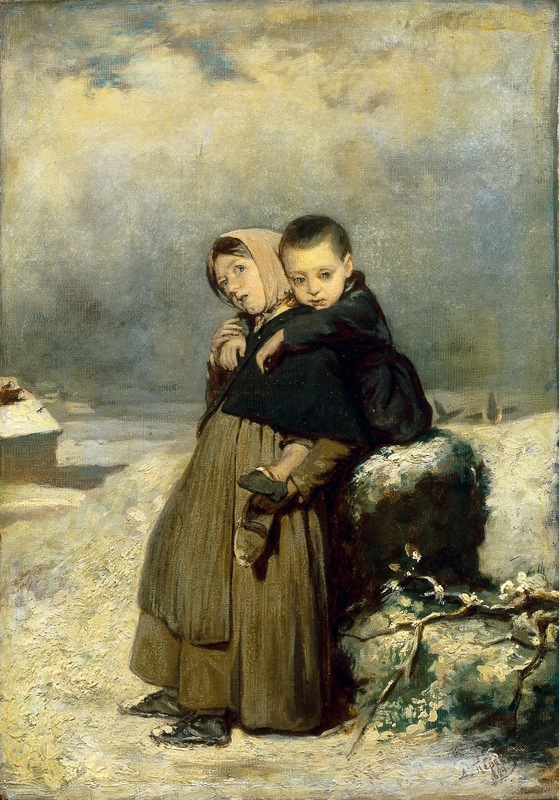 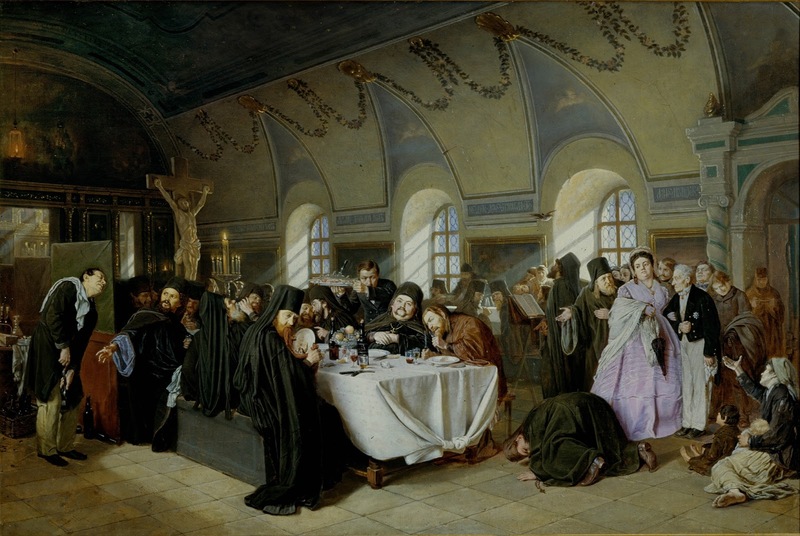 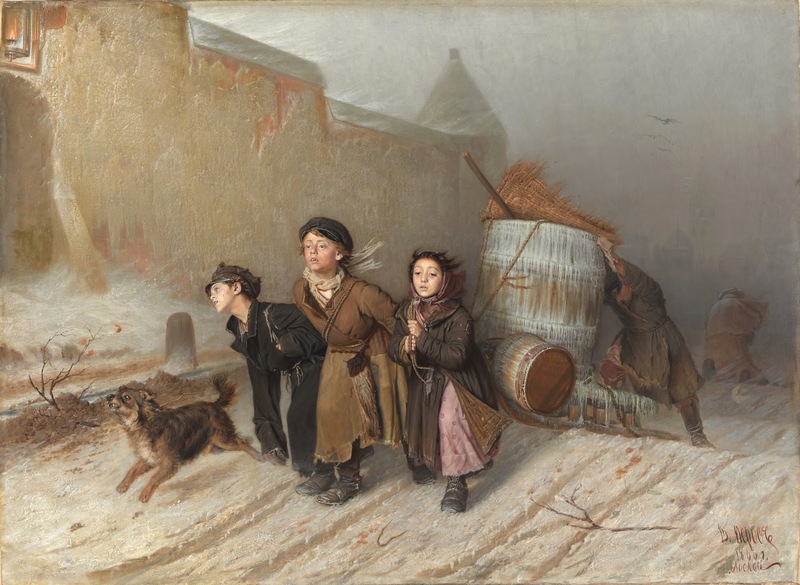 Returning to Moscow early, from 1865-1871 Perov created his best known pieces, The Queue at The Fountain🎨, A Meal in the Monastery, Last Journey🎨, Troika🎨, the Lent Monday, Arrival of a New Governess in a Merchant House, the Drawing Teacher, A Scene at the Railroad, the Last Tavern at Town Gate, the Birdcatcher, the Fisherman, and the Hunters at Rest. 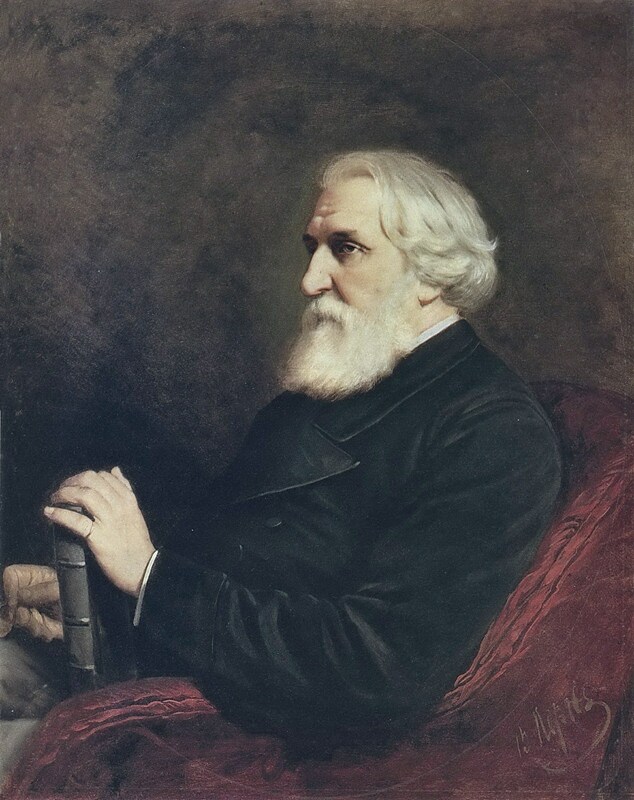 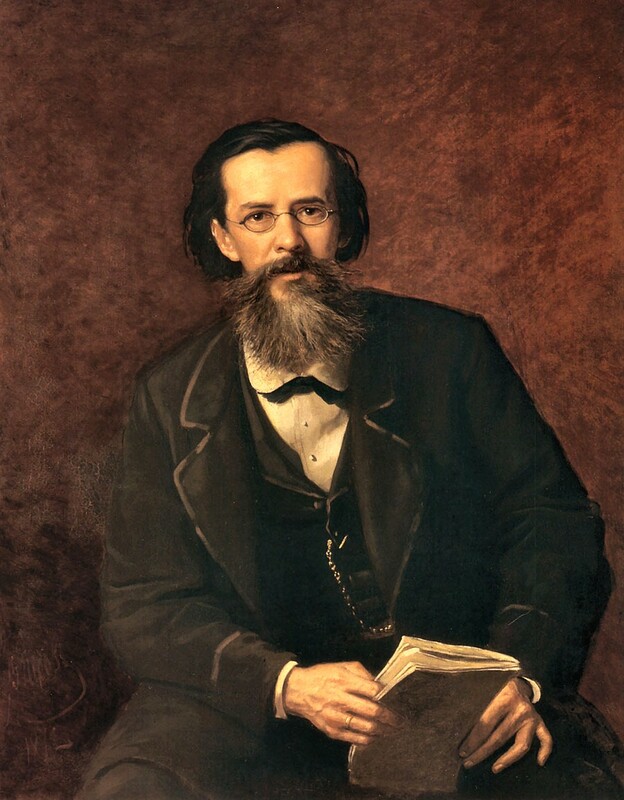 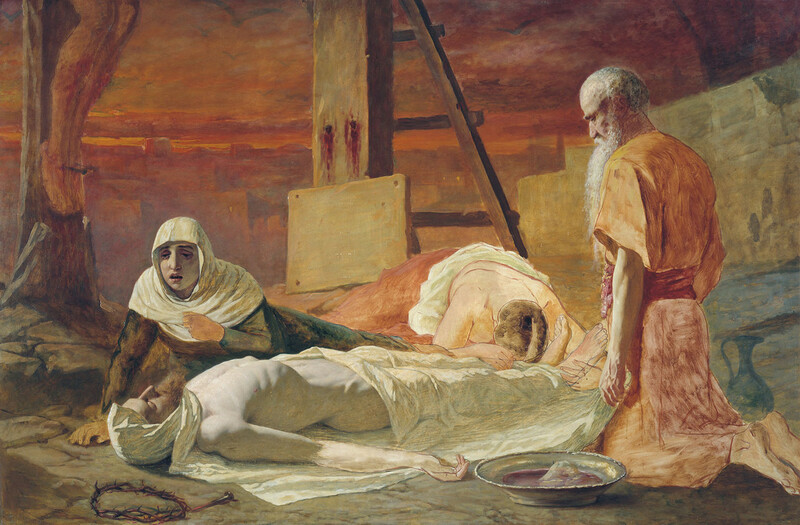 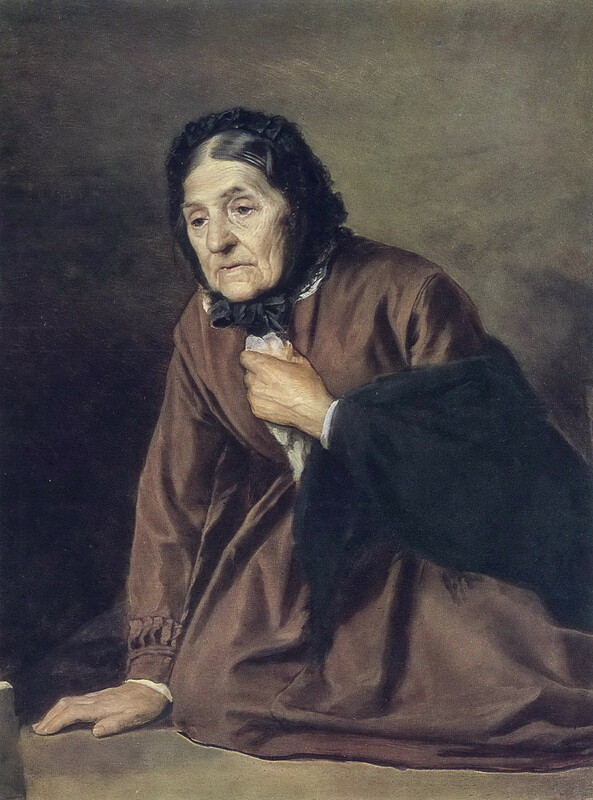 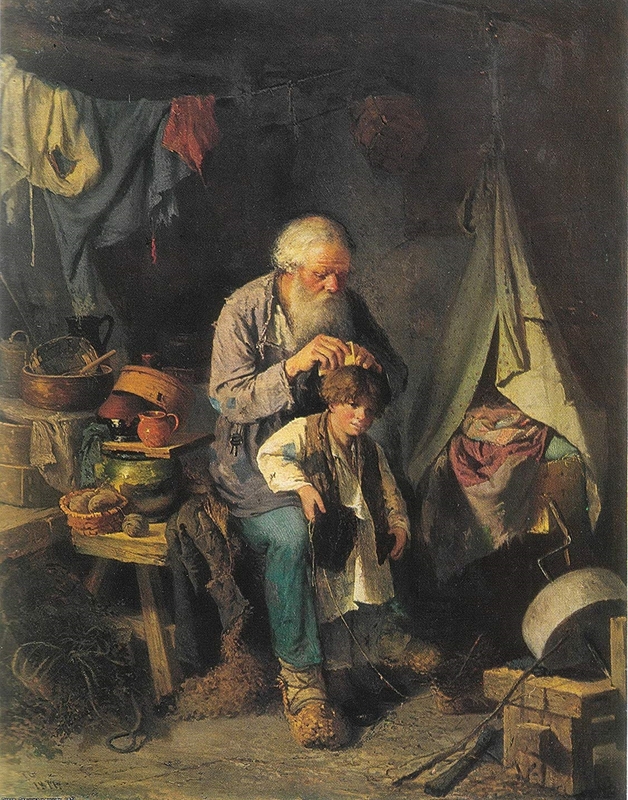 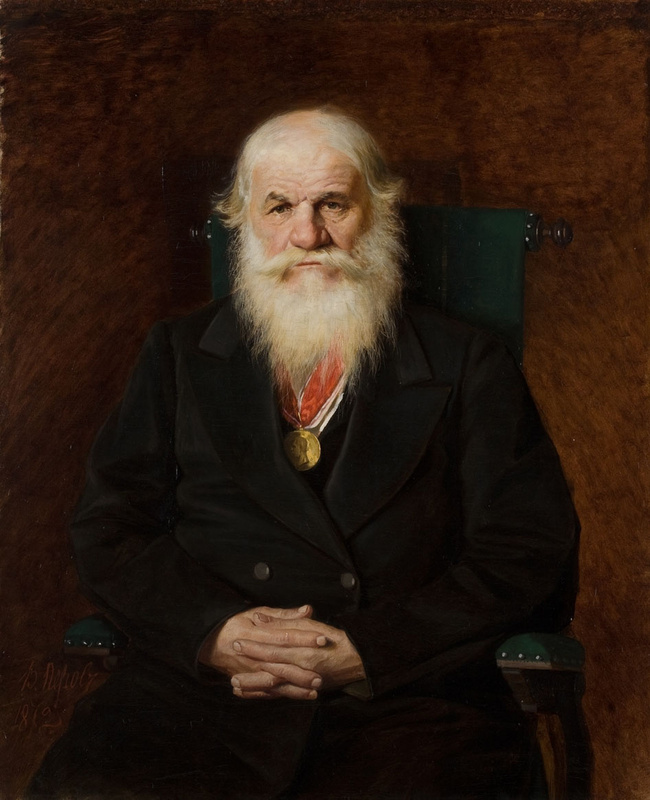 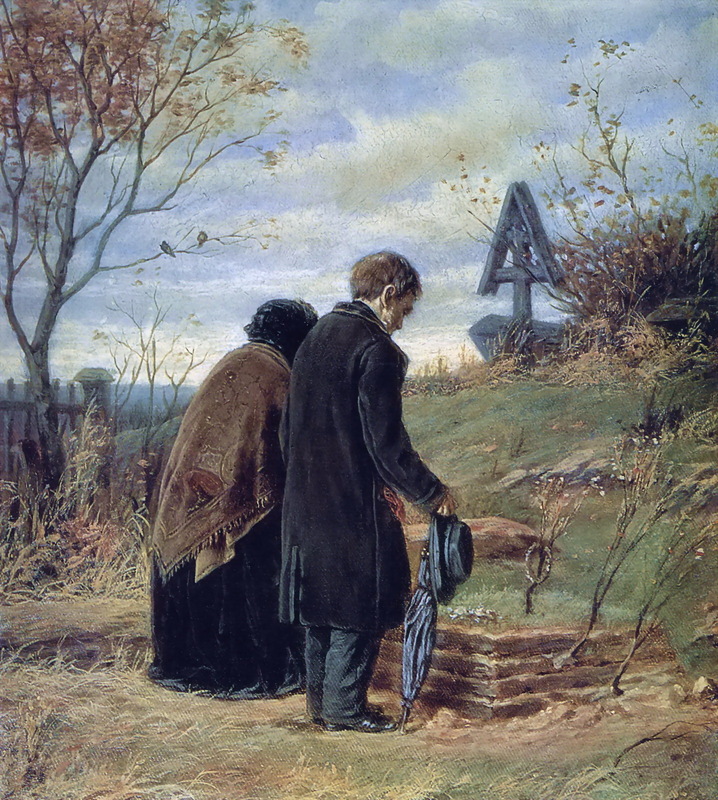 In 1866, Perov received the title of an academician, and in 1871 the position of a Professor at Moscow School of Arts, Sculpture and Architecture. 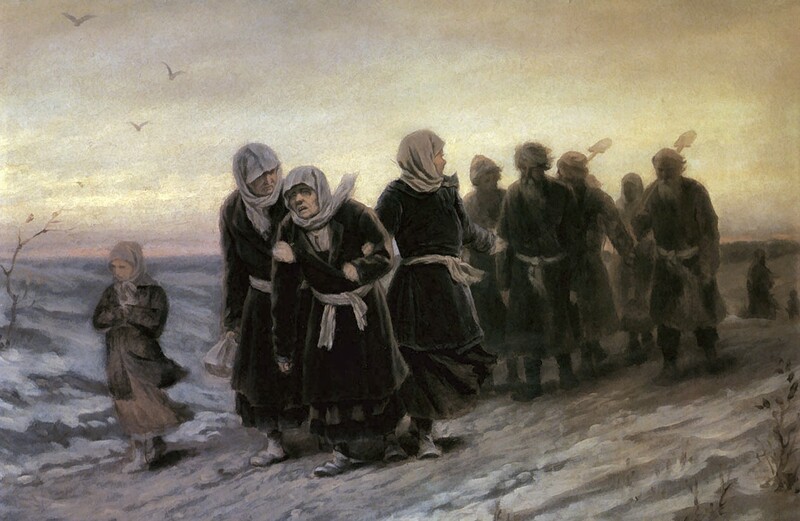 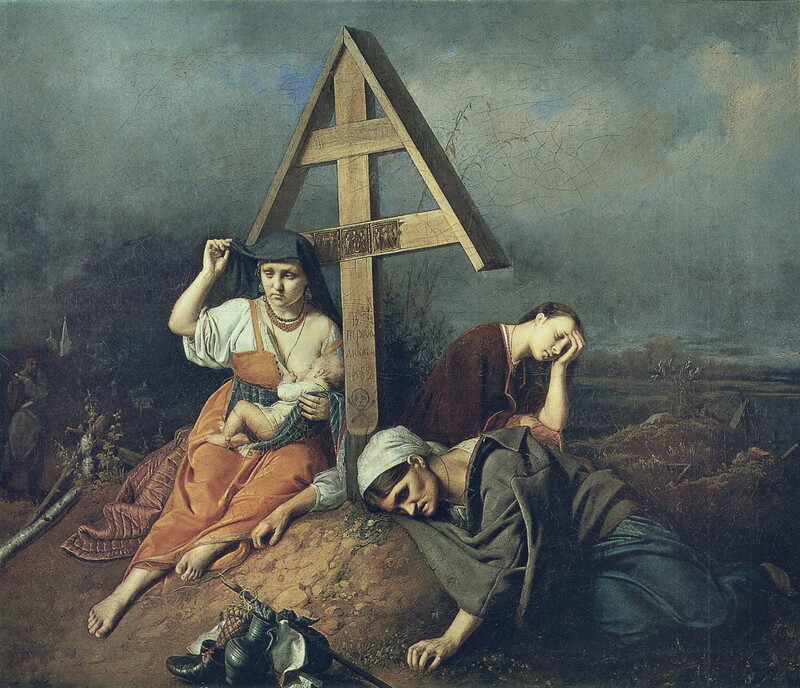 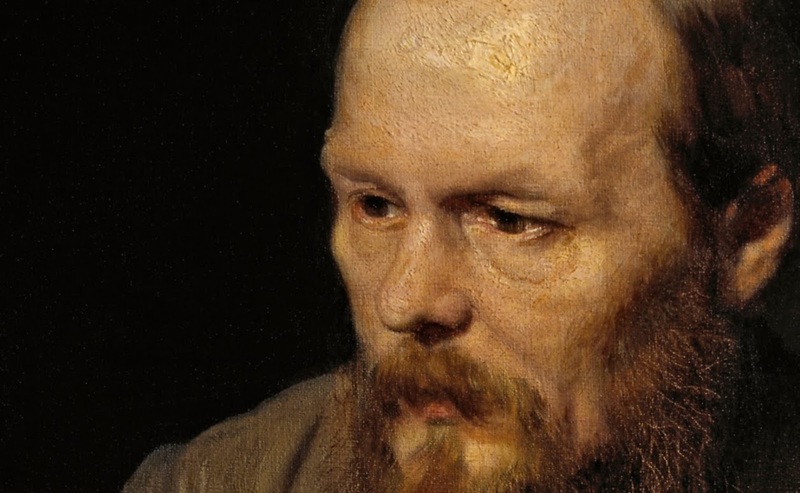 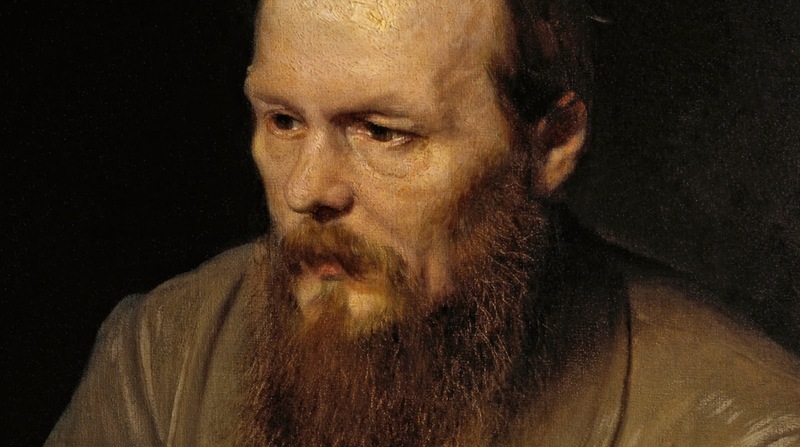 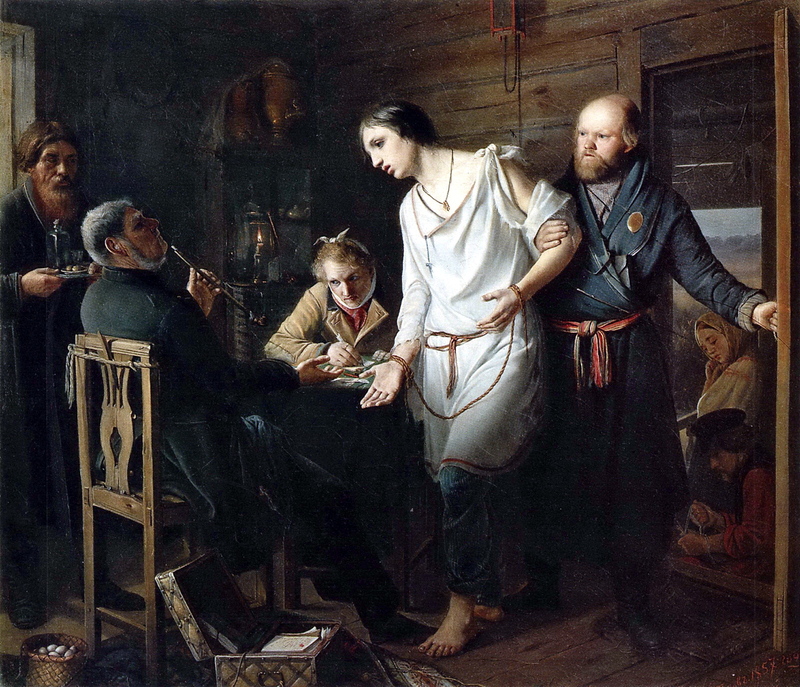 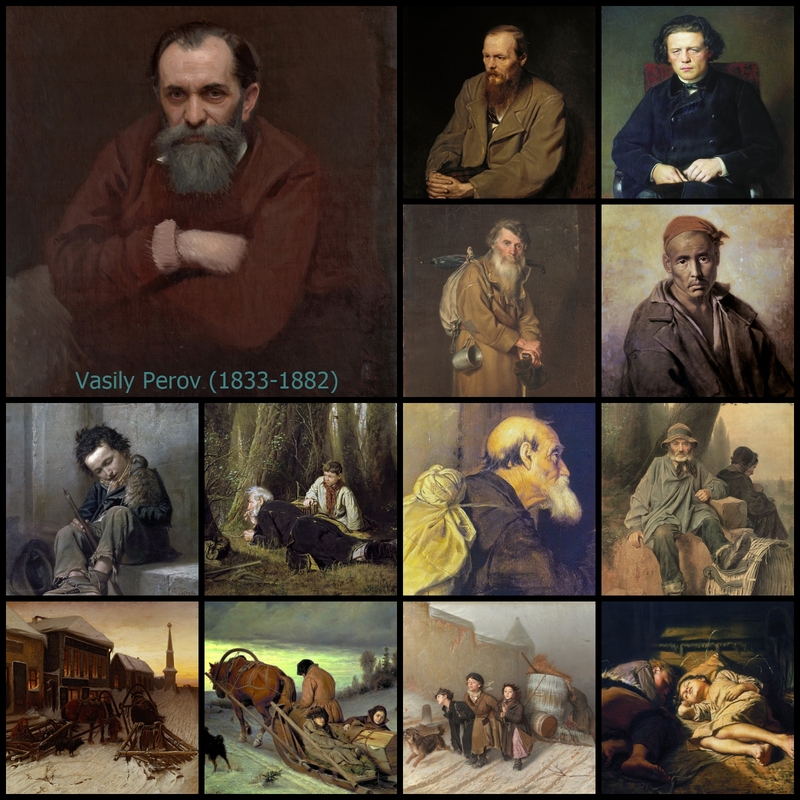 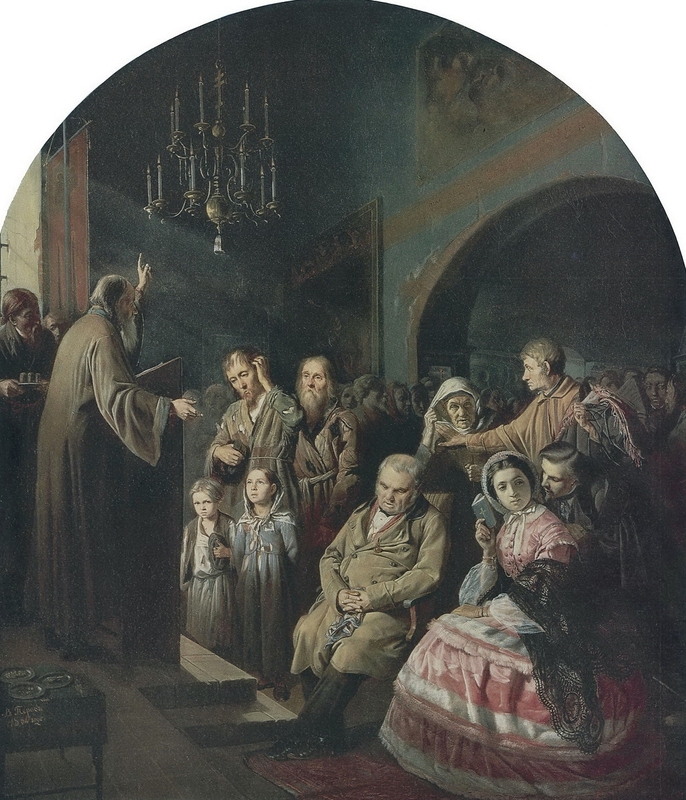 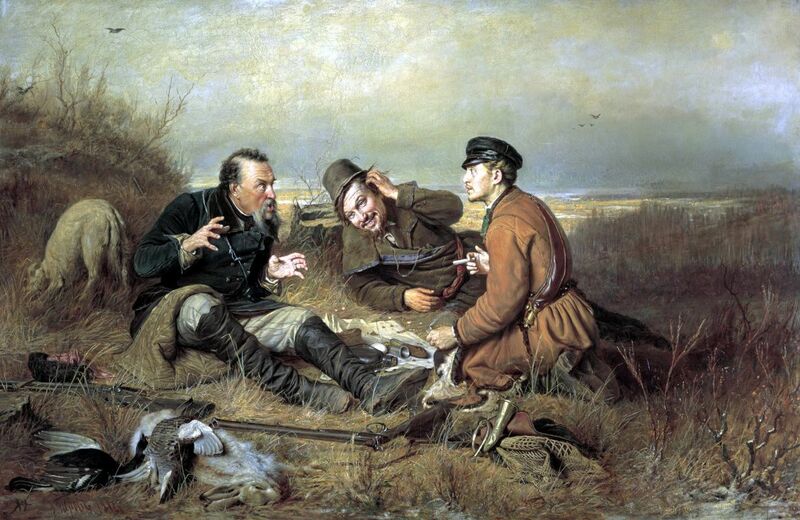 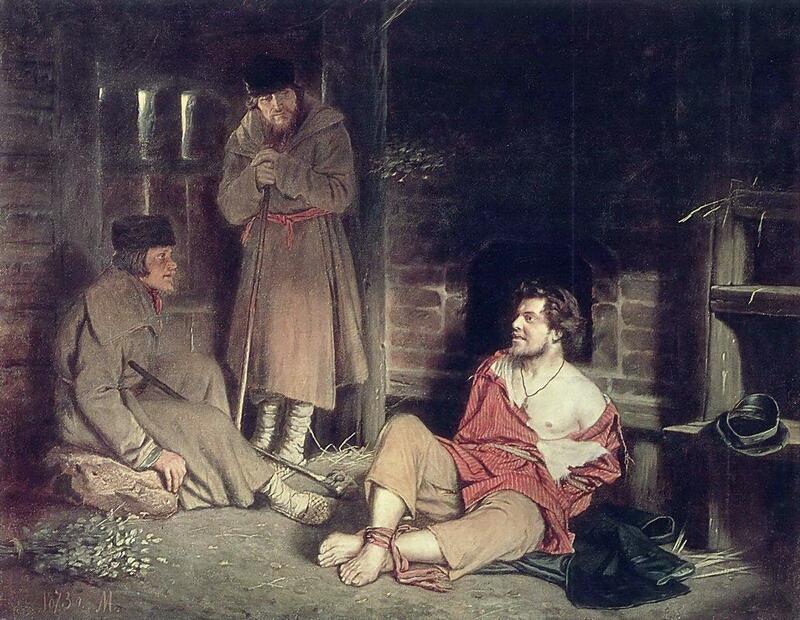 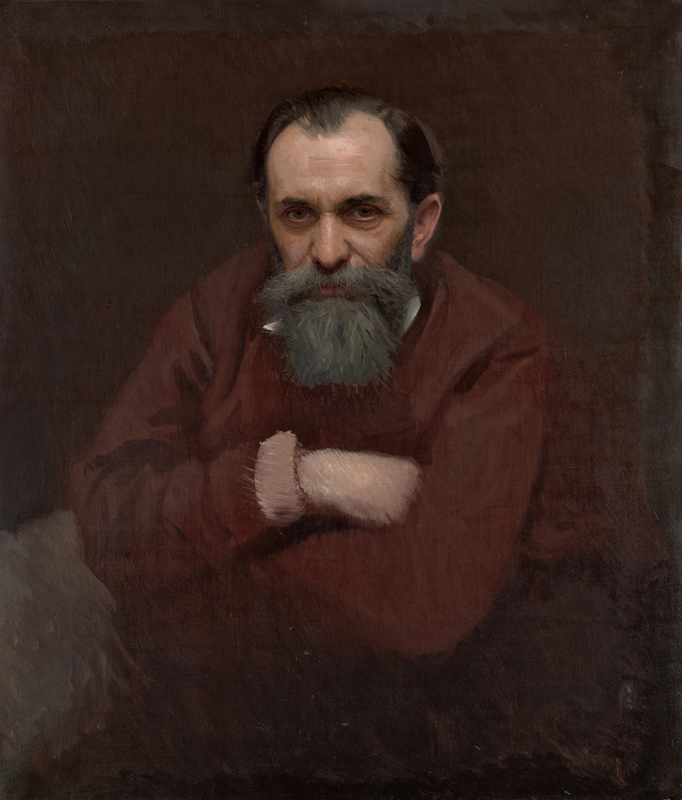 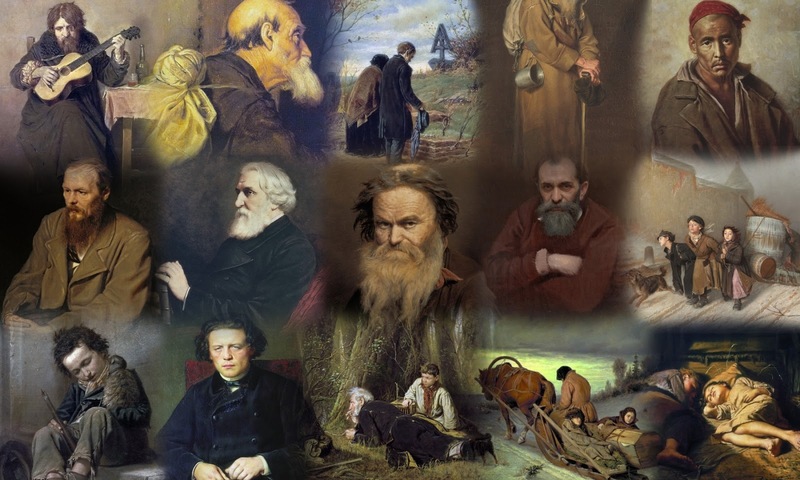 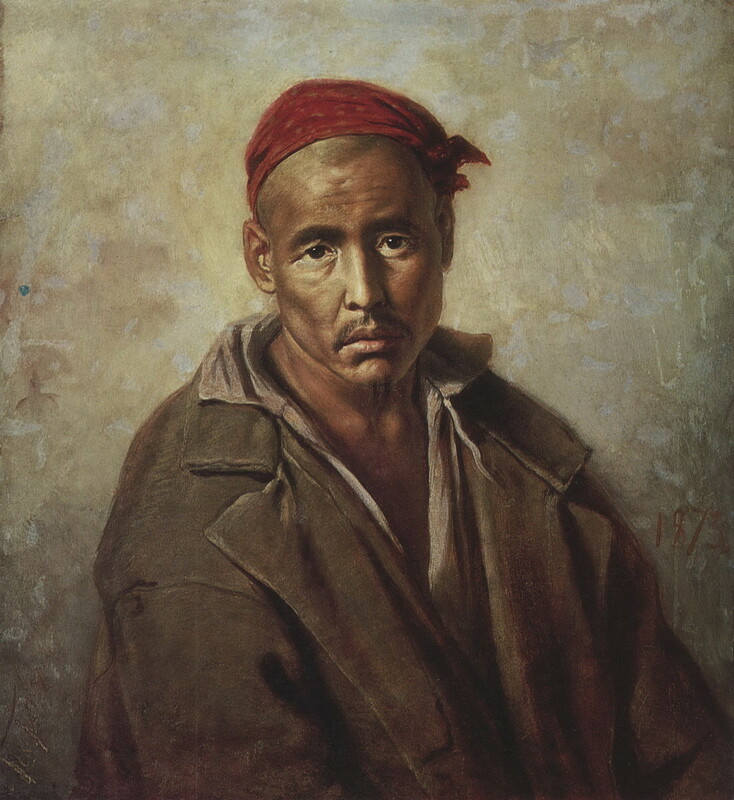 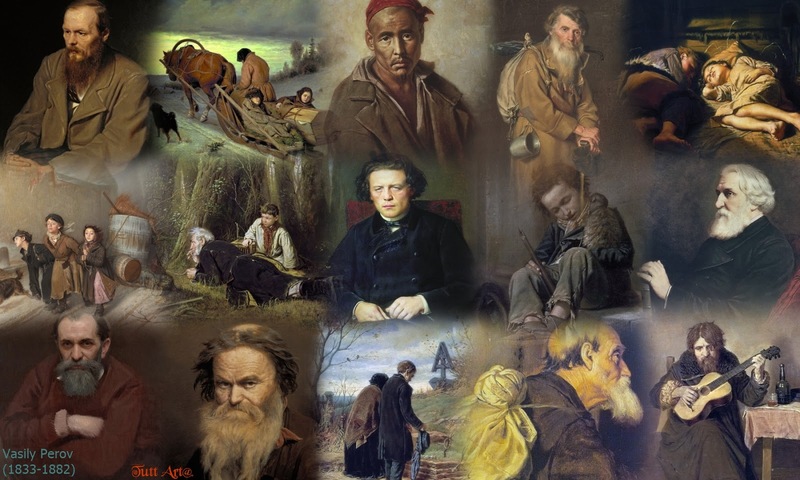 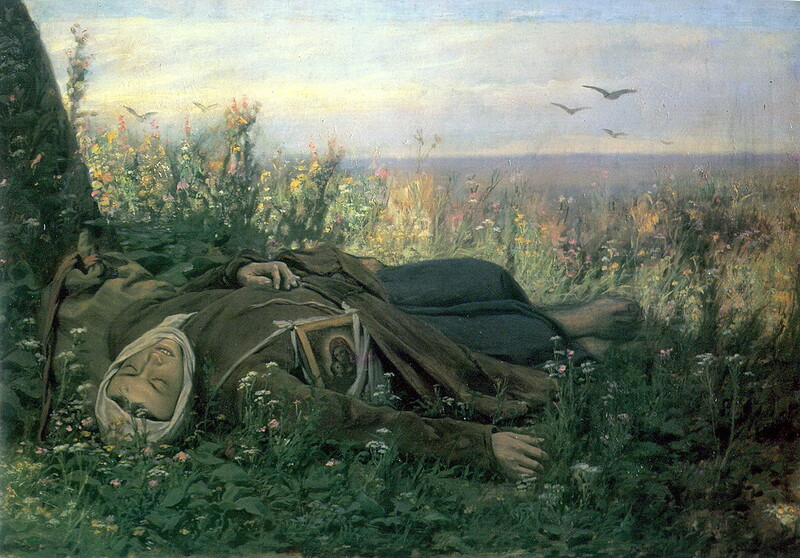 It was around this period that Perov joined the Peredvizhniki, a collective of Russian realist painters formed as an artists cooperative in protest of academic restrictions. 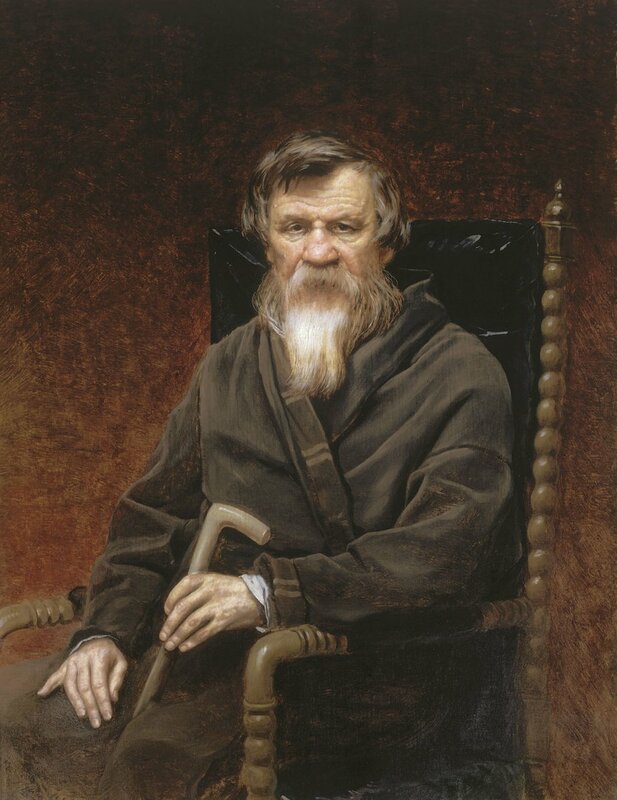 Vasilij Grigor'evič Perov (Tobol'sk, 2 gennaio 1834 - Mosca, 10 giugno 1882) è stato un pittore Russo🎨 ed uno dei fondatori del gruppo dei Peredvižniki, un gruppo di pittori realisti. 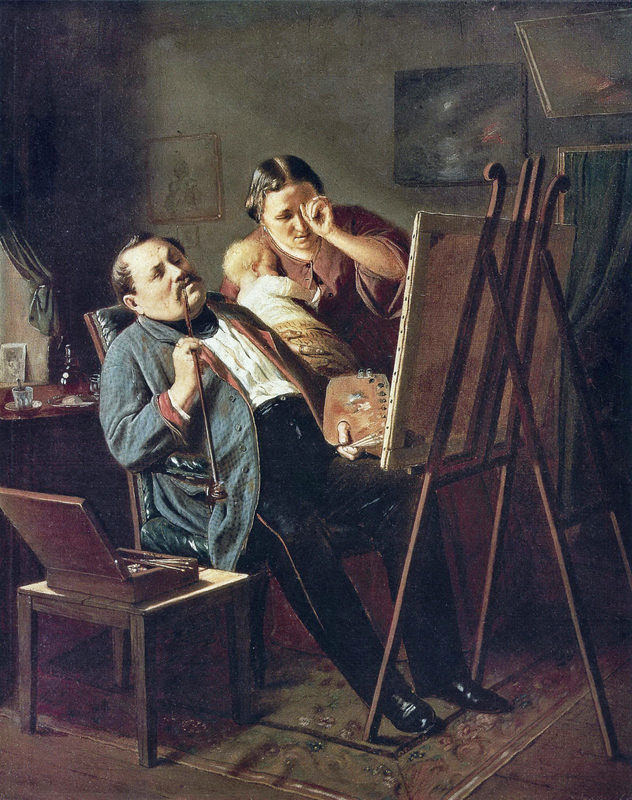 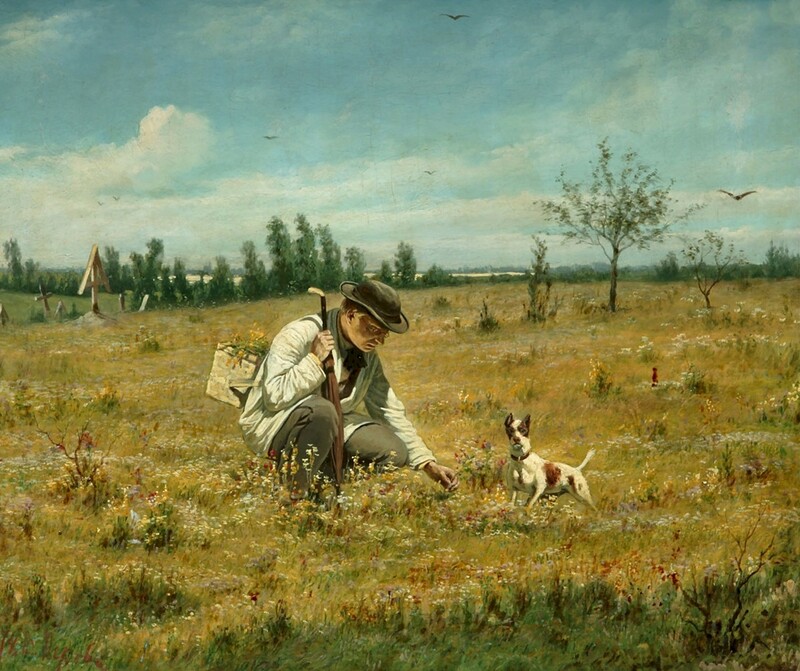 Dopo il completamento della scuola ad Arzamas, fu trasferito alla scuola d'arte Alexander Stupin, anch'essa ad Arzamas. 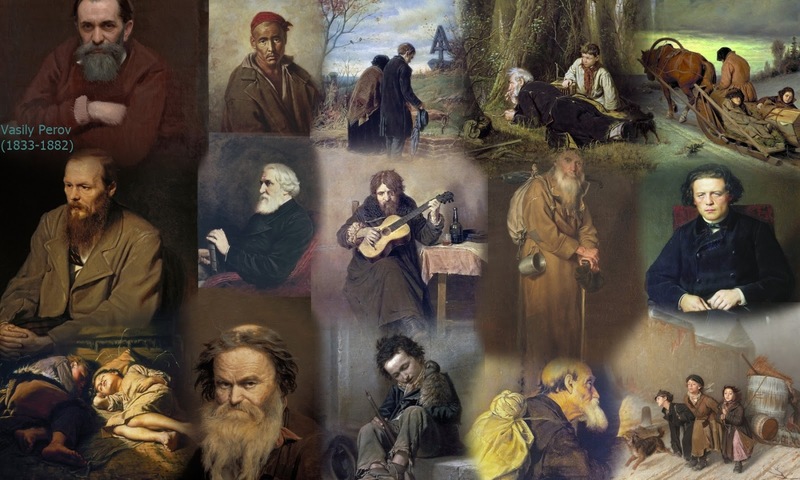 Nel 1853 fu ammesso alla scuola di pittura, scultura ed architettura di Mosca, dove imparò da diversi artisti rinomati. 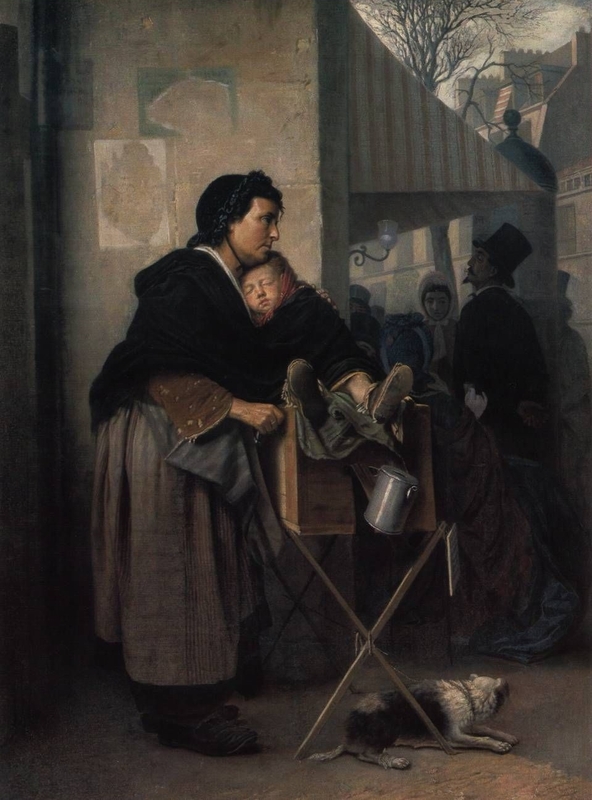 Nel 1856 fu premiato con la medaglia d'argento per il suo schizzo di una testa di bambino presentato all'accademia imperiale delle arti. 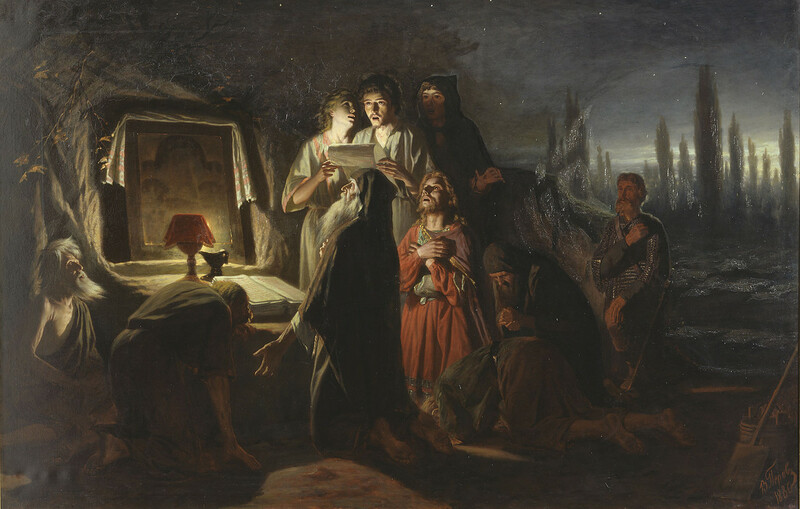 In seguito l'accademia lo premiò molte altre volte: nel 1857 una medaglia d'oro per il Commissario inquirente della polizia rurale, un'altra medaglia d'oro per la Scena su una tomba e il Figlio di un dyak che lo promosse in prima fila, nel 1861 una medaglia d'oro per Predica in un villaggio. 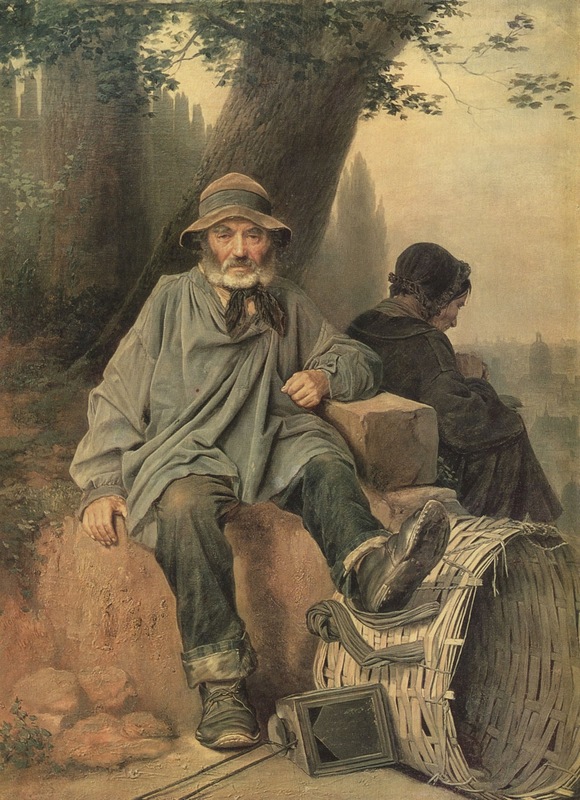 Dopo aver ricevuto il diritto di fare una gita all'estero pagata dallo Stato insieme ad una medaglia d'oro, nel 1862 Perov andò nell'Europa occidentale, visitando diverse città tedesche e poi Parigi. 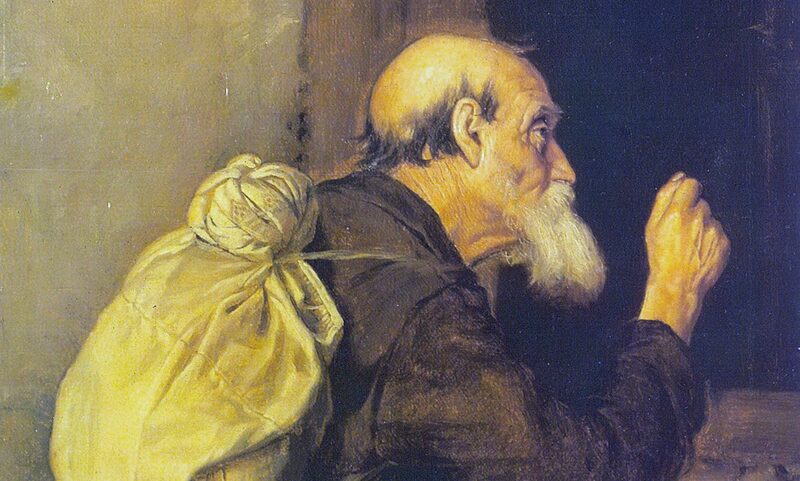 Durante questo viaggio dipinse delle scene della vita di strada europea come ad esempio il Venditore di statuette, il Savoiardo, l'Affilatore di organi a Parigi, I musicisti e i passanti, il Raccoglitore di stracci parigino. 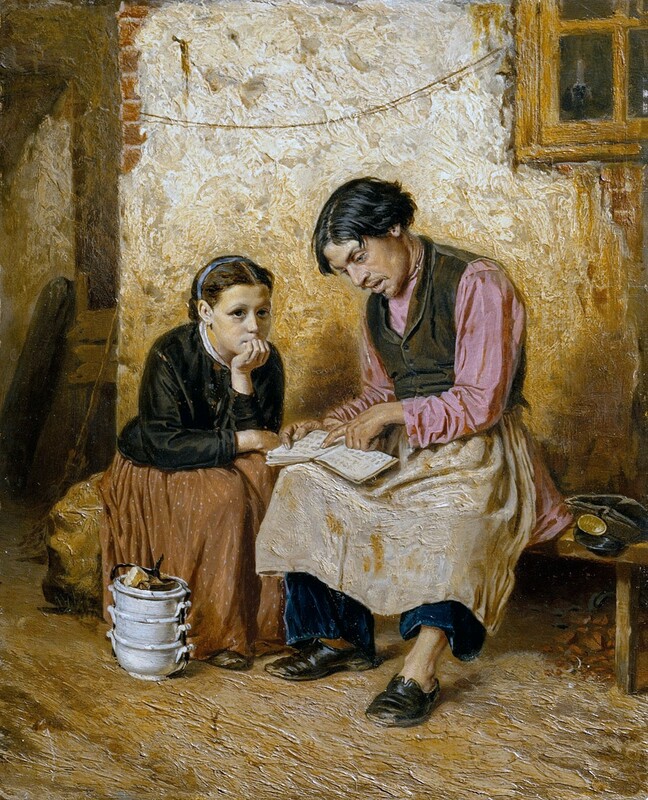 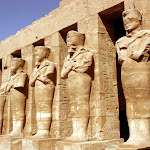 Nel 1866 ricevette il titolo di accademico e nel 1871 di professore alla scuola di arte, scultura ed architettura di Mosca. 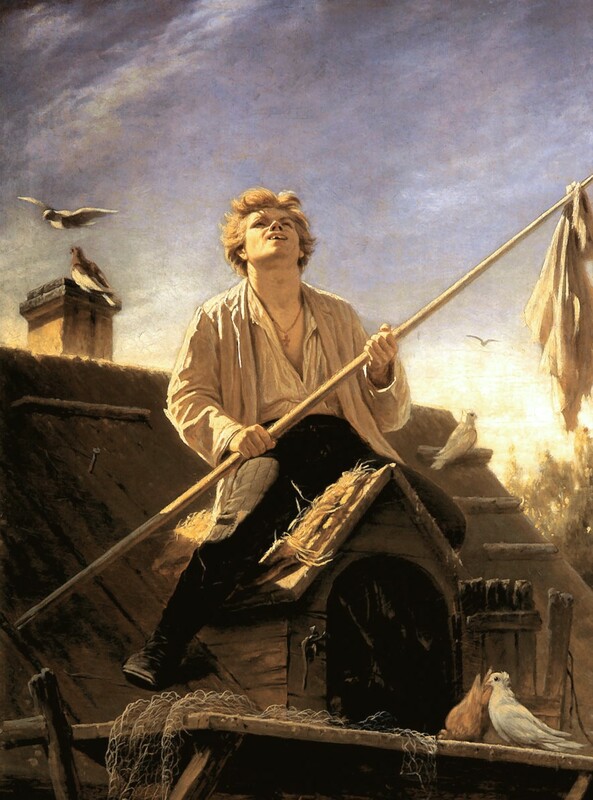 Fu più o meno in questo periodo che si unì ai Peredvižniki.